Newcastle United have been heavily linked with a move for Nicolai Jorgensen over the course of the transfer window. The reports in England suggested that Newcastle United are in advanced talks to bring Feyenoord striker Nicolai Jorgensen. The Denmark international was signed by Feyenoord in July 2016 from Copenhagen for a fee of 3.5 million euros. The 27-year-old has a contract until 2021 with the club. 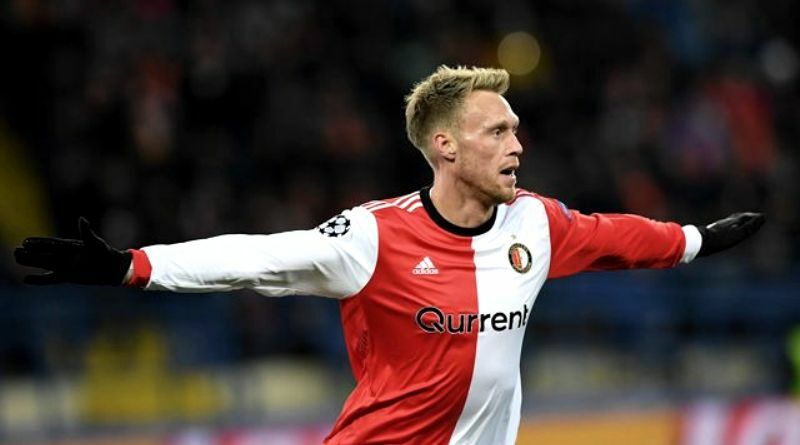 Jorgensen has played 61 times for Feyenoord since signing from Copenhagen, scoring 34 goals and creating 20 assists in that time. The 27-year-old is considered to be one of the best strikers in Denmark. The Denmark international has been in impressive form for Feyenoord this season. Nicolai Jorgensen has represented Denmark at Under-18, Under-19, Under-20 and Under-21 level, winning 27 caps and scoring eight goals, before making his senior international debut in November 2011. As a member of Denmark national football team, Jorgensen won 28 caps and he scored eight goals. Rafa Benitez wants to sign a new striker and Nicolai Jorgensen is one of the names at the top of his wishlist. The Newcastle United manager has been impressed by his performances this season and could make a move in the coming days. Newcastle United are desperate to make an impact in winter transfer window. According to the report, Newcastle and Feyenoord are in negotiations for Nicolai Jorgensen, with the Dutch side holding out for 22.5 million euros. Sources at the De Kuip Stadium have indicated that Newcastle have upped their initial offer of around 15.75 million euros but the bid has again fallen short of the valuation for the Danish international striker. Feyenoord and Jorgensen know that his future may lie elsewhere and are open to a sale only for the right valuation. Will Nicolai Jorgensen be a Newcastle player soon? Only time will tell. One thing is nearly certain. Thanks to his great displays, he’ll be at a much bigger club than Feyenoord this time next year.